It's the questions we get on a regular basis. What is the best travel camera? What type of camera do you use? Do you use a tripod? What's in your travel photography kit? What other travel photography gear should I bring with me on vacation? We realized that we've spent a lot of time answering emails to this question when we could easily just send aspiring photographers to a travel photography gear guide. Brilliant! So, if you've ever wondered what camera equipment we carry on our travels, here's the answer. When it comes to choosing gear for travel photography my best advice is to think light. I didn't used to do this, but as technology gets better you can now start thinking lighter. I used to be a die-hard Canon guy that bought all the best glass that just so happened to be really heavy. After years of carrying this weight on my back (which has now been broken in two places) I've been seeking other options. I still love Canon and preach good glass, but I think the heavy stuff is best left for the studio or commercial work. So here's a comprehensive list of all the photography gear I take around the world to capture my award winning travel photos. Now remember, it took us years to build out our best camera kit, you don't need to start with all of this, but this is the complete photography guide. I'll give pointers of what you can start with as well. Check out our packing tips for Europe Guide. Want to do what we do? 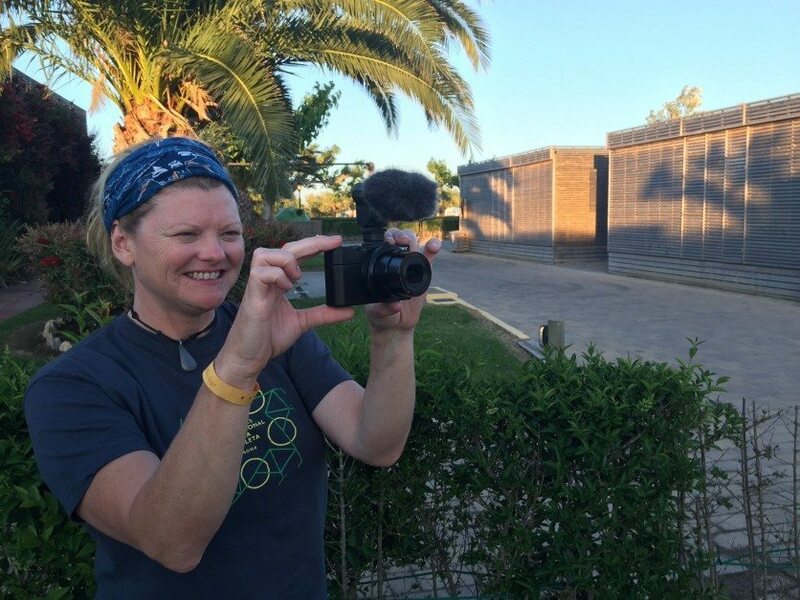 Check out How to Start a Travel Blog and you can photograph the world too! There's an added bonus, I've put video equipment into this post as well. I carry two camera bodies. I find having two camera bodies important so that I don't have to switch lenses. I carry a long lens on one shoulder and a wide lens on the other. That way I am prepared for any situation. I made the transition from my Canon 5D Mark II camera system to the lighter Sony A7 full-frame mirrorless system a year ago and I have to say I love it. For travel, it's important to me to have less to carry. I found my Canon cameras and lenses were starting to impede my desire to take photographs. With iPhones and mirrorless cameras taking such great photographs, I found I was taking more photos on my phone rather than digging out my large camera. Since switching I have found I am more motivated to take photos, seriously impressed with the quality and very happy that I took the plunge. 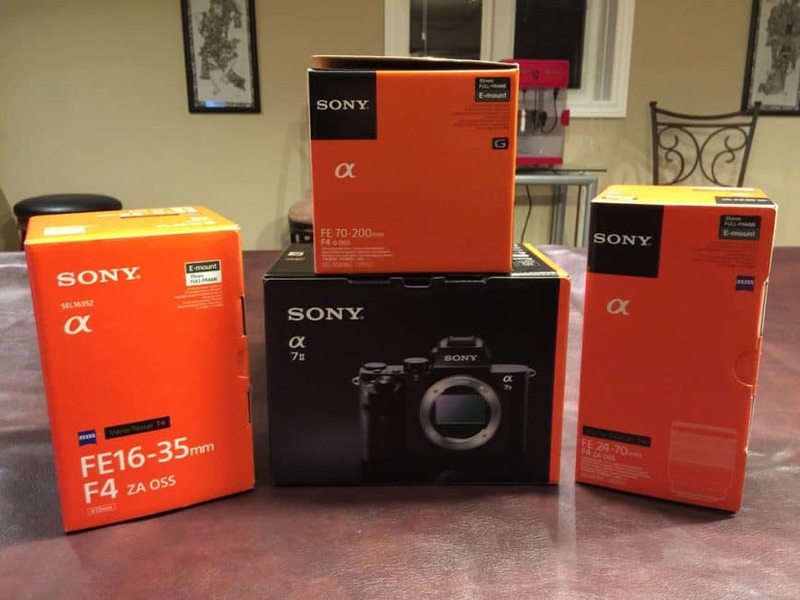 Sony A7R II – This is now my main body. I have never been so happy with a purchase. The performance of this camera in low light, as well as the image quality, is better than any camera I have ever used. With its 42mp sensor combined with the Zeiss lenses, I cannot recommend this camera enough. Sony A7S II – They call this the low light monster. The A7S II may only have a 12MP sensor but that makes it perfect for low light and high ISO's. With an improved autofocus system and stunning video, this was the perfect camera to add as a second camera body. This handles just like the A7R II ergonomically and the menu system is pretty much the same making it easy to switch between cameras. It is also full frame so I can still take advantage of those great wide angle lenses. Sony uses Carl Zeiss lenses and I used to shoot with Carl Zeiss lenses in the days before digital photography when I took photos with my Hasselblad. I was a little skeptical as to how the zoom lenses would perform but I have been impressed. They are sharp and light which is perfect for a travel photographer. I have also added a lens for Astrophotography which pairs great with the Sony A7SII. These are the lenses I have in my travel photography kit. Carl Zeiss FE 24-70 F4– This focal length is a perfect walk around lens for a travel photographer. At 24mm t is wide enough to capture great landscapes and at 70mm works as a great portrait focal length. I fell in love with this zoom range with my Canon system and so it was the first lens I bought for the Sony. Having a versatile lens like this just makes my travel photography easier. Carl Zeiss FE 16-35 F4– I shoot a lot of landscapes so this lens was a no-brainer. The 16mm is perfect for landscapes as well as cityscapes and for those interior shots when you just have to get everything in the shot. The image quality of this lens has blown me away. If you shoot a lot of landscapes or wide-angle perspective shots this is the lens for you. Sony FE 70-200 F4– This lens completes my kit. It took Sony a little while to come out with this one but man it was worth the wait. Image quality is awesome, the bokeh effect is great (so close to that of my old Canon 70-200 2.8) and most of all it is so light. When I show it to my DSLR shooting friends and they pick it up, let's just say there is a look of utter surprise on their faces. I use this lens mostly for wildlife and portraits. Combine it with the 5 axis stabilization in the Sony A7R II and you have one steady hand. Rokinon 14mm F2.8- When I was looking for a wide angle lens for astrophotography this one was at the top of my list. It has everything I need; a fast aperture is wide angle and is sharp edge to edge. What could be a drawback for some people is that this is a manual lens. This means that it has no autofocus and you have to adjust the aperture on the barrel. If you can deal with this it is a steal at $260. I would really recommend this if you are just getting into astrophotography. There is no use spending big bucks on something until you find out whether you like it or not. 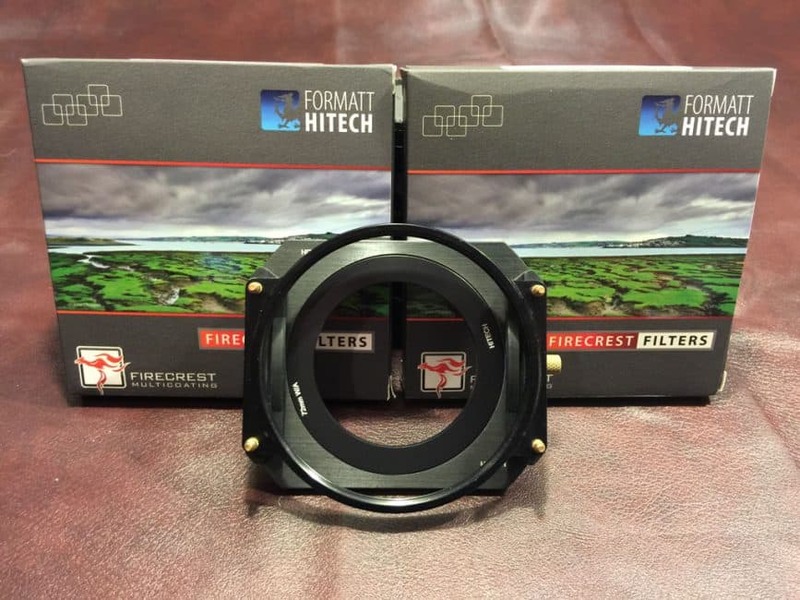 Formatt-Hitech Filter System – When I started getting serious about my landscape photography, one of the first accessories I wanted to add to my kit was a set of ND Filters that would allow me to get the best image in camera that I could. This is always something I have been striving for. The more I can achieve in camera the less time I have to spend on post-production. My current Formatt-Hitech filters allow me to accomplish this. I just added the new Firecrest filters to my lineup and let me tell you these are the best ND filters I have ever used. No colour shift and outstanding quality. I'm not going to go into detail here, read the post about it. I go in depth there. Sony RX100IV– By far the best point and shoot camera I have ever used. It comes with a fast F1.8 Carl Zeiss lens, a 20mp sensor, it shoots RAW as well as stunning 4K Video. I always have this in my pocket so that I am ready for any situation. It even has a viewfinder and an articulating screen. If you are looking for a camera for every situation and want to go ultralight then this is the camera for you. GoPro Hero 4 Black – We love our GoPro Hero 4 Black. We set on video mode, but then program it to take photos every 5, 10 or 30 seconds. We have captured some amazing moments that wouldn't have been possible with just a regular camera. It's hands-free. We attach to everything from snowboards to whitewater kayaks, helmets and our chests. Go pro is always coming out with new editions, they're now the GoPro Hero 5 you can buy here. I also love that it charges via USB, can be controlled via wifi from a smartphone, and comes with a remote. Perfect if you are on an adventure where bringing your bigger camera is not an option. Recommended accessories: car mounts, helmet mounts, chest strap, extender, tripod mount, Jaws flex camp. Black Rapid shoulder strap – This allows me to distribute the weight of the camera across my body and carry the weight on my hip. It's quick release, more secure and even has a memory card holder on my shoulder strap. This allows me to keep my hands free for other things and it doesn't kill my neck. F-Stop Loka Photography Camera Bag I have tried many a camera bag over the years and always found them either too big or too small and they offer no extra room for other gear if you are going for a hike or into the back country. Well, when I discovered F-Stop Gear I not only found that they found solutions to all of these problems but that they were incredibly comfortable as well. As a Rogue Team member for F-Stop I have been using this bag for the past 2 years and love it. The features are endless. It has waterproof zippers and a waterproof bottom. Grabbing camera gear is easy with the back compartment. All my gear fits beautifully with it's insert system for organization, I can change inserts to fit each situation. 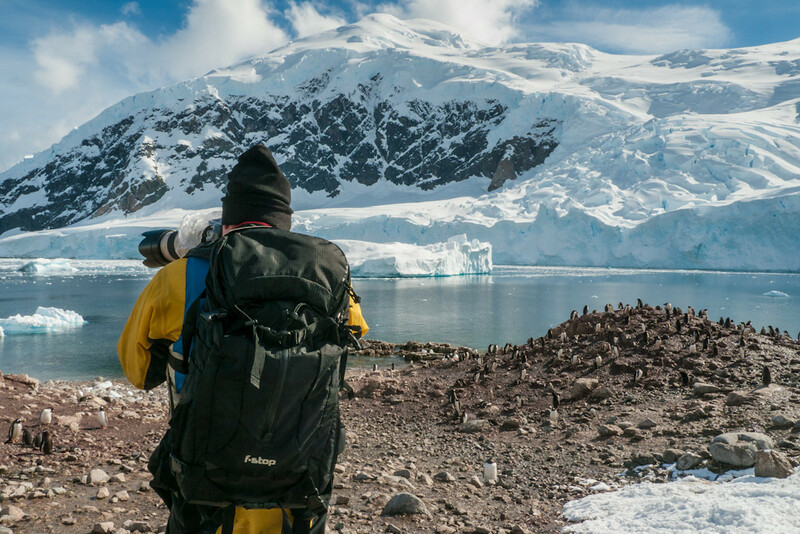 The Loka bag is built for adventure photographers. I can fit in all of my gear and still have room for a jacket, food etc. if I am going on a hike. My tripod also fits perfectly on the side and the pack itself is ultra comfortable. I would say I found the best travel camera bag. Tripods have always been a really personal choice and I have learned the hard way that a cheap flimsy tripod can really destroy your photos. A good tripod is an essential piece of gear for any photographer, though your back may not think so. 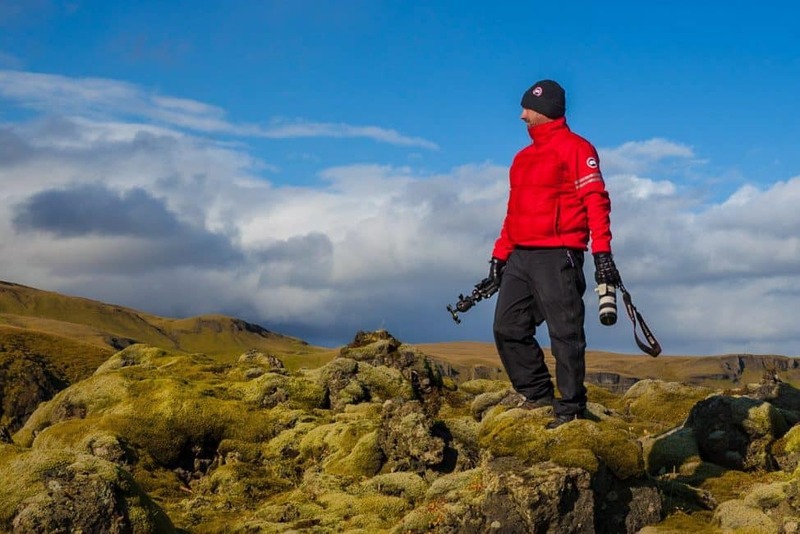 In travel photography, we are constantly looking for the balance between quality and weight. We want something that is lightweight but can stand up to the rigours of the road. I have recently just switched from my Manfrotto Tripod to the Gitzo as I found it to be more durable and steady. Paired with a quality ball head and this is the perfect combination for me. Sturdy enough to be used in all situations and light enough not to break my back. I also use my tripod for long exposures, night photography, star photography and timelapse. 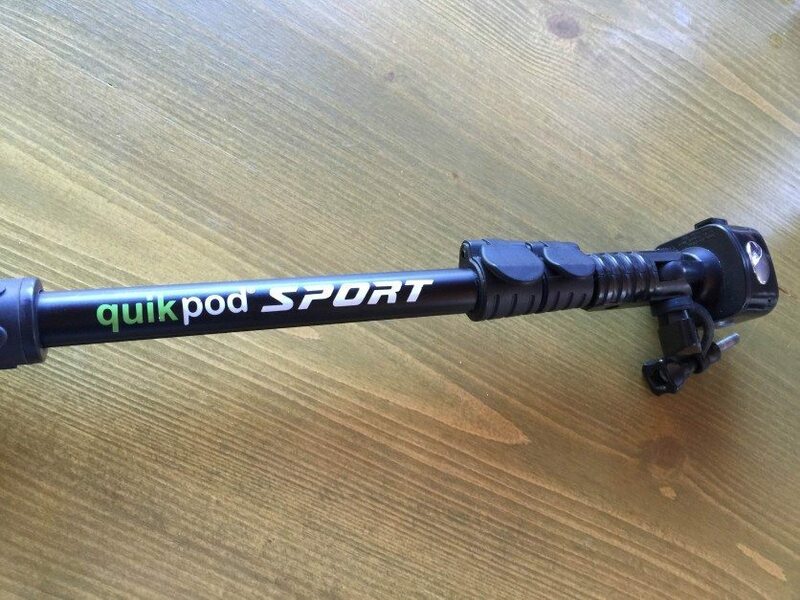 This is a great extender that we'll be able to hang over our kayaks to capture underwater footage with our GoPro. It will keep us from getting our hands wet and allow us to get right under the boats for some amazing footage. We also love this extender because we can grab quick shots of ourselves without having to ask others to take photos of us. Vello Shutter Boss II for Sony Intervalometer/Wireless Remote: This is great for shooting time lapses or star trails. I found that for shooting exposures longer than 30 seconds that the “app” in the Sony Cameras is really limiting. So I looked for an alternative and have found this remote to work perfectly. It is easy to operate, has an on/off switch to save batteries and is affordable. I also have a small wireless remote that I use to shoot self-portraits but have found that to be a little unreliable. I am a little old fashioned and prefer to rely on a separate remote and not use the one in camera. For a wireless remote I use the FotoTech Ir Remote. It is cheap and easy and does the job. Memory Cards: I have used Sandisk Extreme 32 gig cards from the beginning and have found them durable and reliable. I usually shoot on 32gb cards as when shooting in RAW it can take up a lot of space. I stay away from higher capacity cards as it forces me to download them more often. I currently use the Sandisk Extreme cards and I keep them all in a memory card holder for protection and organization. MacBook Pro – I love this computer it's perfect for photographers. I use the larger 15-inch computer because it is big enough to store all my photos, the screen is large enough for editing and it is powerful enough for all your editing needs. iPhone 6 Plus – I've tried other phones for photography and the iPhone is the best. Especially the 6+. It has the new coating over the lens and the photos are crisp and clear. I've looked at a lot of other phones and while the photos look great on the phone's screen, they don't transfer well to the computer. iPhone does. Plus, you can't beat the apps that are available for iPhone photography. 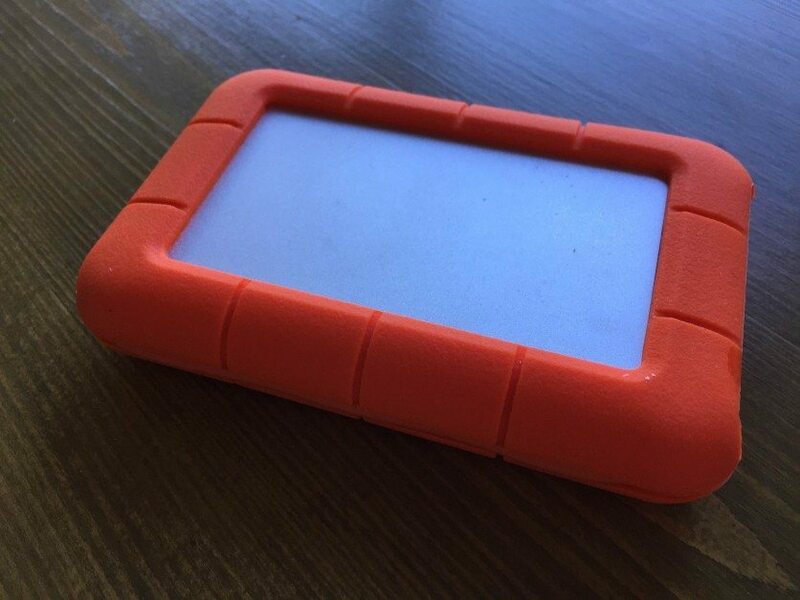 2 TB Lacie Rugged Thunderbolt Drive- I carry two of these with me. One for storage and one for Backup. They are lightweight, small and durable. I put these in Tupperware containers to protect them from the elements. 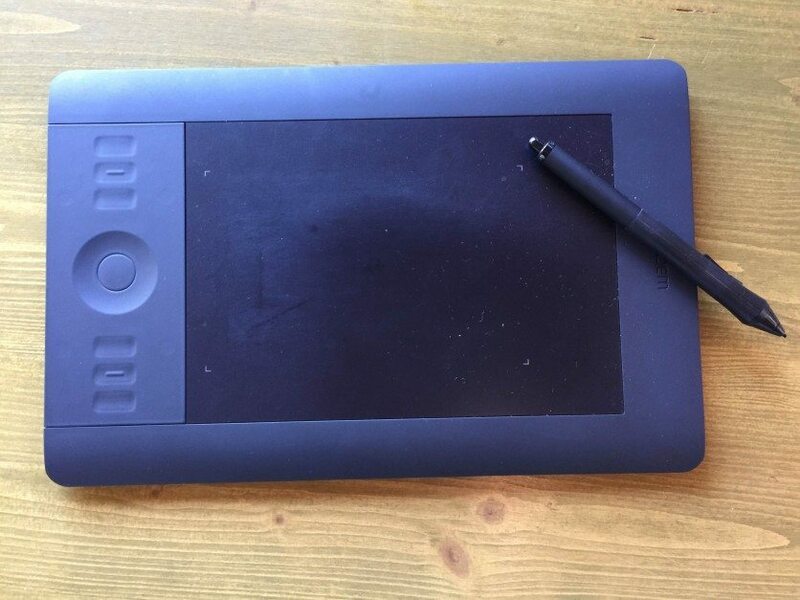 Wacom Intuos Pro Tablet: Editing photos with a tablet gives you so much more control. Although it adds a little extra weight the control and speed it adds to my editing workflow is well worth it. – This is a must for anyone travelling. The Belkin protects electronics from power surges, it charges several electronics at a time and it also has two USB ports. Sony FDRAX33 Video Camera: We recently switched to using this as our main video body. Since Deb does almost all the video on the blog she wanted to go with something that is comfortable and produces high-quality images. The AX33 really fit the bill. It shoots 4K at 100mb, has a high-quality Zeiss lens, has manual controls and great stabilization. Everything you need for great videos. Sony RX100 IV– We have recently switched to this little guy for shooting video. It packs a lot of punch in a little package. Since we already carry 2 photography bodies that are more than capable for video we wanted something small and portable for those moments when you need to grab some great footage. It is a fixed lens camera but puts out some amazing quality. Sony ECM-XYST1M External Mic: This stereo mic attaches to the RX100 II and improves the sound quality immensely. It allows you to adjust the recording range from 0 to 120 degrees and attaches right to the hot shoe on the top of the camera. We highly suggest a windscreen for those windy days. Rode SmartLav + Microphones: These have turned out to be one of the best investments we have made for our video outfit. They are high quality, hook up to your phone via the Rode app and cost a fraction of traditional lav mics. We carry two of these and have really impressed with the quality of the sound. No one wants to listen to a video with crappy sound. So for a small investment, you can have pro quality audio. A must-have in your video kit. Video Head: Manfrotto MVH 50o AH Fluid head- When on a specific video campaign I bring this head because it is made for video. I like it because it gives me better control for panning and tilting than the ball head that I use for photography. 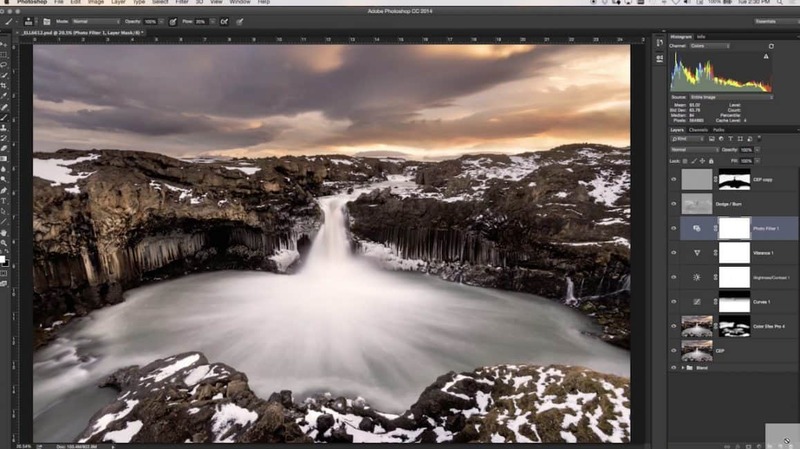 Post processing is an important part of any photographers workflow and I use a few programs religiously. All of my cataloguing and main editing is done in Adobe Lightroom, and I highly recommend you get this. It is available for purchase as a stand-alone program or you can purchase it monthly and bundle it with Adobe Photoshop. I also use Nik Efex bundle which is available for $99 from Google. A great deal for some really powerful software. Don't forget to get yourself a great photo hosting platform to show off your photos. I use SmugMug and they offer an economical choice to host and sell your photography. So that should do it for those looking for the best travel camera. All of the camera and video gear that we carry on the road. It may seem a little extensive but it all travels pretty well. Disclosure: There are some affiliate links in the post above, but these are all products we highly recommend. We won’t put anything on this page that we haven’t verified and/or personally used. 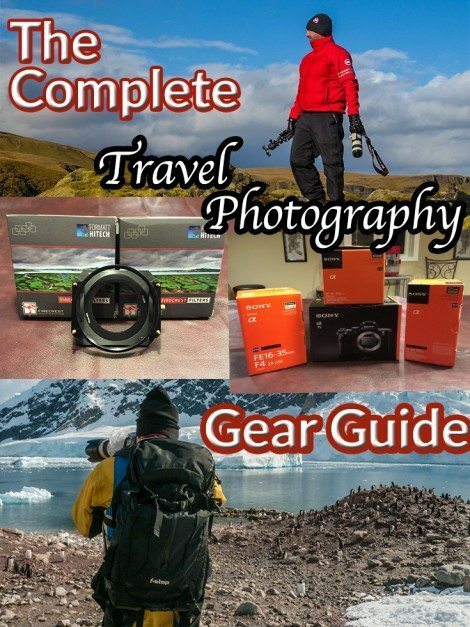 22 Responses to "The Complete Travel Photography Gear Guide"
I was so undecided when it came to choosing a mirrorless camera or a full frame one and for now I bought the latter and the ND graduated filters and a rather expensive polarized filter. I totally agree with you on that one. You can’t go cheap if you want to see good results! I will test my slightly less expensive ND filters when I get my new gear (can’t wait! probably I’ll finally have it delivered by the beginning of next week ) and depending on the results I get, I will probably buy the filters you recommend. Your other guides on photography are awesome, thanks for sharing your tips, so useful! I wish I had decided to buy a lighter body camera, but what’s done it’s done…in the meantime I’ll keep reading your posts and get inspired! I have to, given the amount of money I invested on my photo gear, no matter how heavy they are, at least it’s a good way on not having any excuses to practice as much as I can 🙂 well done. I will bookmark this so I remember what kind of filters you’re using. How do you insure your equipment? i shoot with a canon 7d and do portraits and studio work. when we jet off in January with the family i would like to bring some good glass with me. i also generally shoot with my iPhone for convenience. I’m thinking of selling my 35mm and 85mm primes as they are better suited for studio and outdoor portrait shots. that leaves me with a REALLY heavy 17-55 2.8 a 50mm an 18-55mm kit lens and a 70-300 kit lens. suggestions??? i have two boys. they are young. we have a ton of crap to carry with us. I would like to leave the 17-55 behind and just bring the kit lens but I’m hesitant! would love some feedback! You guys are an inspiration for me to keep on going with my own travels. Lately I’m thinking more and more of how many photos I don’t take because I’m lazy sometimes to scoop out or carry around my Canon 5d MKIII, maybe I just have to join the mirrorless club one of these day. Reading The Planet D dynamic duo Dave & Deb is my favorite part of the day! Thank you guys for such tips and Dave the landscapes you’ve posed with is a treating distraction from your tips but I managed to get back to the lines! This post is so amazing fof me, everybody wants these type of camera for taking every picture or photo of their best moment of life. I love sony camera, it is really so much fantastic and excellent for quaility. Hey I also wanna this type of camera. This post is so amazing, everybody wants these type of camera for taking every picture of their best moment of life. I love sony camera, it is really so much fantastic. Also another tip for mobile photography is the LG G4. It shoots in RAW and has a new full manual mode. Worth checking out. You mention Formatt-Hitech filters and Firecrest filters, but have you ever used B+W filters? I’m looking for some new ND filters and a lot of pros I know use these ones – I would love to know your thoughts on this! – Portable Toshiba 2T hard drive – one of like 4 of these. I need to find a proper case for it though. It gets bashed around a bit. My kit is small as I just have a backpack when I travel so no room for the extras. I used to have a Nikon D70S with up to a 300m lens, but I no longer carry that baby around. Hi, Dave and Deb. I really love the whole Photography Guide you have shared. I enjoyed this post too much.